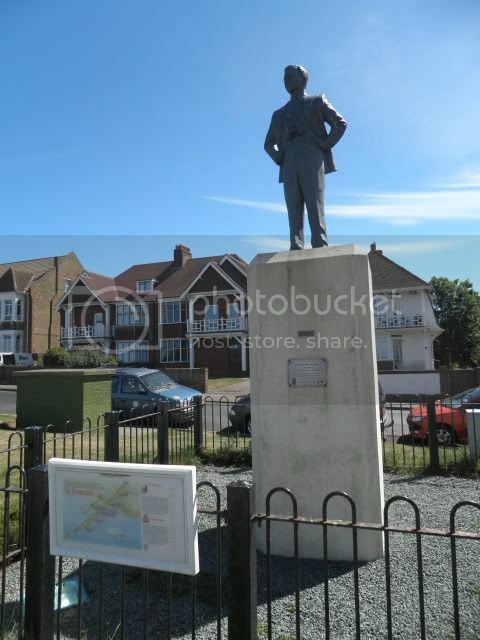 Two photos of the statue of Sir Barnes Wallis on Beacon Hill Road, Herne Bay, and a photo of a 'bouncing bomb' at East Kirkby, Lincolnshire. Second launch sequence of practice dropping the 'Upkeep' weapon at Reculver Bombing Range. © IWM (IWM FLM 2338) An Avro Lancaster flying at 60 feet above the water, approaches the release point. © IWM (IWM FLM 2339) The Lancaster releases the bomb towards the shore. © IWM (IWM FLM 2340) The bomb falls from the Lancaster as the aircraft begins to climb. © IWM (IWM FLM 2342) The bomb rises from the water after the first 'bounce'. © IWM (IWM FLM 2343) A group of observers watches as the bomb bounces toward the shoreline. Dr Barnes, on the extreme left of the group, can be seen urging the bomb on. Well after scanning them to your computer, you then need to upload them to a photo hosting site, like Photobucket or Flickr.. I would be interested in seeing the cuttings you have on the subject, as I feel other members would be also. I suggest either putting the cuttings in this thread, or maybe even starting a new one in this board. I was the Press Officer during the 1997 operation and have an extensive file of newspaper cuttings. I can copy them and make them available on-line if that would be of interest. I also have many photographs. If it is of real interest I can scan the material but where should I place it? The Herne Bay Museum has one of the smaller prototypes also. The one at Manston is the one photographed at Fort Amherst in a seperate thread. The one in the spitfire museum at Manston was the smaller prototype version, and not the same as the ones used on the Dam Busters raid. I think that there is also one in the Spitfire Museum at Manston. There is a complete bomb in the Barnes Wallis Collection at the Yorkshire Air Meseum at Elvington, near York. There is one in the Imperial War Museum at Duxford. One of the reasons that a lot of the bouncing bombs recovered from Reculver are damaged, was due to the military clear up of the site after the war. Any thing sticking out of the mud/sand was blown up with a ribbon charge. Some of the bombs that were further from the shore got missed. As to what happened to the hundred bombs still in store in 1945, still looking.
. Other people assisted: a liaison officer from RAF Manston was present, as was a SNCO from the RAF's EOD Flight in Wittering (whose task it was to confirm that there was no explosive hazard, . 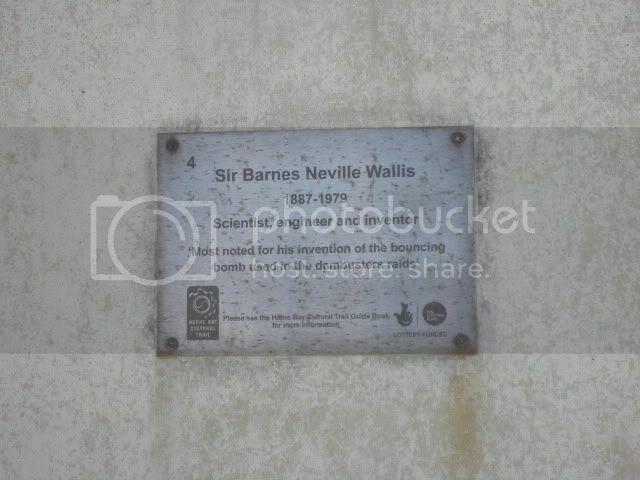 There is a complete bomb in the Barnes Wallis Collection at the Yorkshire Air Meseum at Elvington, near York. I saw this specimen when it was put on display a couple of years ago and it is in perfect condition, I think that it was one of those brought ashore at Reculver, but cannot be certain.